NFL Commissioner Roger Goodell speaks at a press conference during Super Bowl LIII Week at the NFL Media Center inside the Georgia World Congress Center in Atlanta, Georgia, on Wednesday. The National Football League will mark the end of era in 2019 when in celebrates its 100th season and could look to the future by playing a first game in China with Commissioner Roger Goodell on Wednesday labeling the country a "priority market". 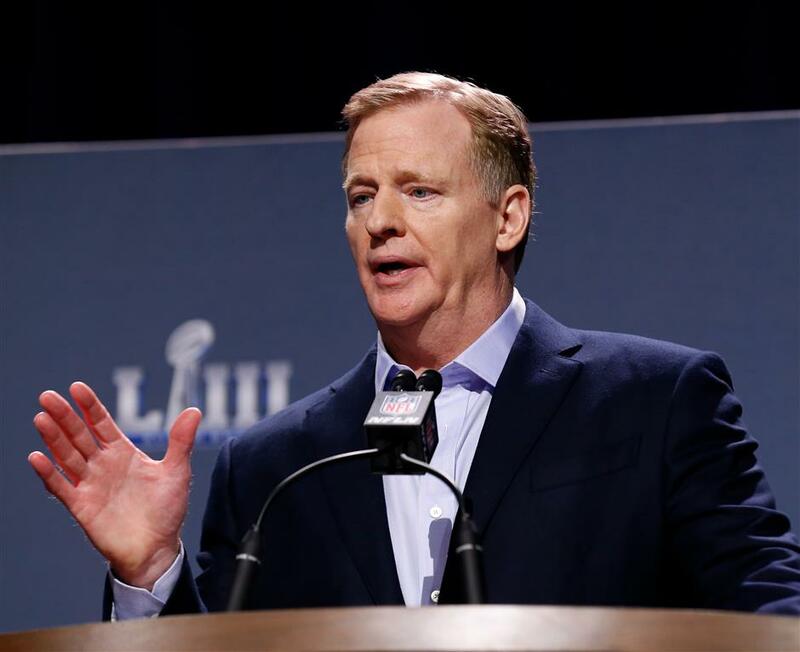 During his annual 'state of league address' ahead of Sunday's Super Bowl between the New England Patriots and Los Angeles Rams, Goodell said: "I hope some time in the next couple of months we are going to have some very exciting announcements. "China is a priority market for the NFL," he added. "We believe that our game has a great deal of potential to expand and bring new fans into our game. "We have had double-digit growth this past year in China in our fan base and people engaging with our game. So we are excited by it." The NFL has made several aborted attempts to get a "China Bowl" off the ground, with failed plans to stage an exhibition game in Beijing 2007 and 2009. Last December the league announced a digital partnership with China's Youku, Alibaba Group's video entertainment platform, to bring programming to Chinese fans. The Patriots' five-time Super Bowl winning quarterback Tom Brady has also traveled to Beijing to wave the NFL flag, paying a promotional visit to the Great Wall in 2017, saying it is his dream to play in China before he retires. The league has already announced four regular-season games will take place in London this year, with two at Wembley Stadium and two visits to Tottenham Hotspur's new ground. "I think the issue for us still is can we do this competitively for the team that is based in London and the other 31 clubs," said Goodell. "That involves scheduling and other matters you don't want to compromise and until we get comfortable with that I don't think we will be NFL-ready in London."